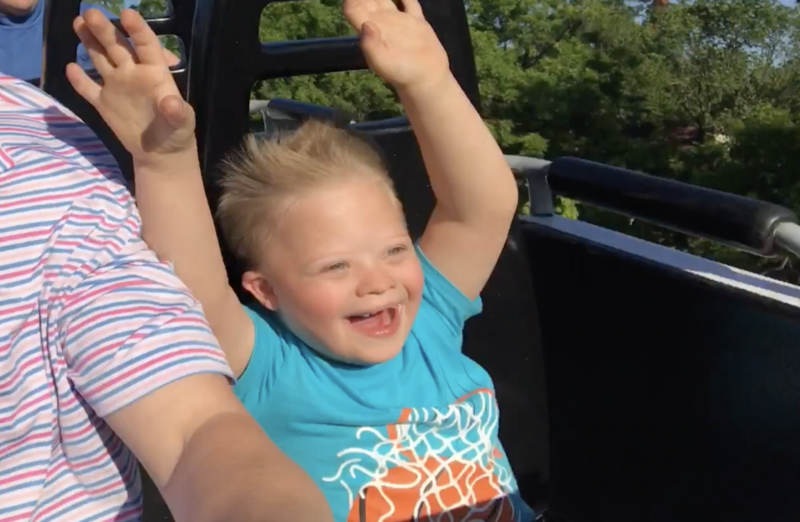 Our Son With Down Syndrome's First Ride On An Upside Down Roller Coaster! 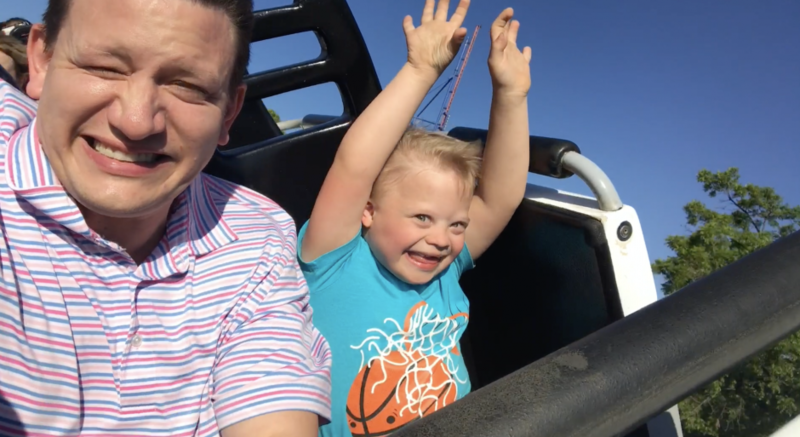 You are here: Home / Family / Noah Rides His First Upside Down Roller Coaster! 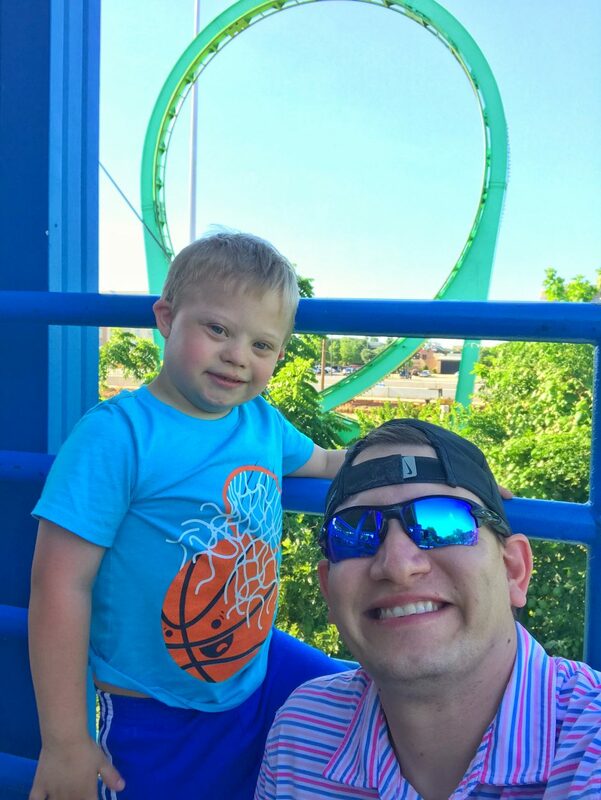 One of Noah’s favorite things to do is visit Six Flags Over Texas (a local theme park) and ride rides! 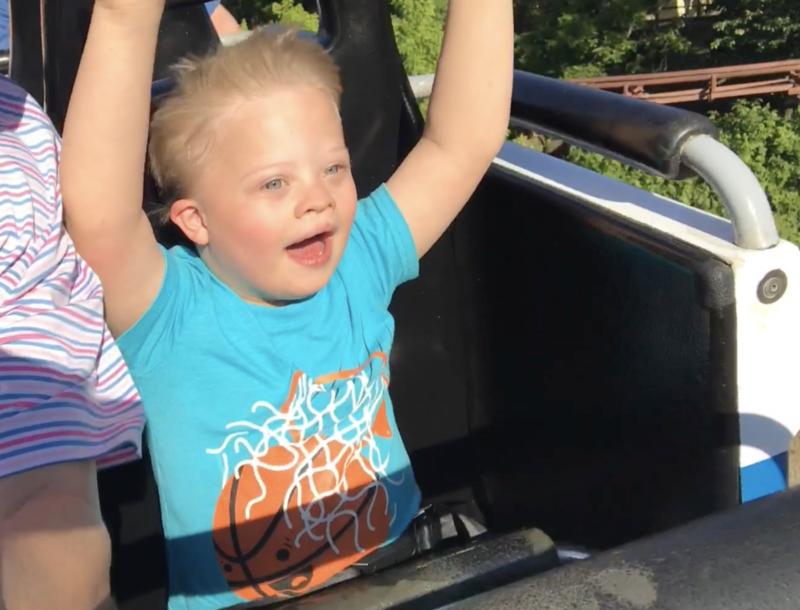 This “little” boy has been a fan of thrill rides for as long I can remember him going to theme parks, but this year he decided to ride the “Shock Wave,” one of those roller coasters that goes upside down. Just just once, but twice!! Noah is such a brave not-so-little boy. Since this was his first ride on an upside down roller coaster I decided to risk my iPhone and film the experience. You’ve got to check out the video below…it’s awesome! Here’s a couple of screen grabs from the video. Look at those little hands raised high in the sky! One thing that’s interesting is Noah’s lack of fear for things like roller coaster. I’m pretty sure Noah would ride every ride in the park if he was tall enough. He wants to ride bigger rides (like the Texas Giant.) He really wants to ride everything. 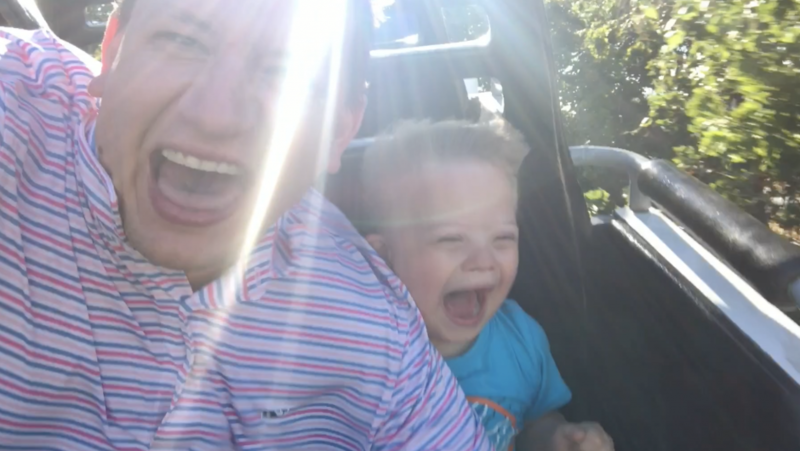 It’s a ton of fun watching his excitement, and seeing how much fun he has on the rides! I love it. If you’re a new parent of a chid born with Down syndrome, I hope posts like this encourage you. You may wonder if you’re child will ever do typical things, like want to ride roller coasters, or go to a theme park. We find that Noah is much more typical then he is special, if you know what I mean. Noah is a blast, and we love that he is a part of our family. He has so much joy, and loves to enjoy life! We love him! Parents, does your child like to go to theme parks? What sort of rides do they enjoy riding? Leave a comment and let us know! I grew up with a couple kids with Downs and I am so happy that at least some things are getting better, for their treatment and acceptance.